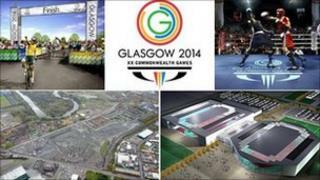 A £10m scheme which aims to provide 1,000 jobs for graduates as a legacy of the 2014 Commonwealth Games is being unveiled by Glasgow City Council. The Commonwealth Graduate Fund will pay employers 50% of the salary costs for graduates they take on, up to a maximum of £10,000 per graduate for one year. It follows several other city projects linked to the legacy of the games. They include the Commonwealth Apprenticeship Initiative and the Commonwealth Jobs Fund. The graduate initiative is being unveiled by council leader Gordon Matheson at the 14th State of the City Economy Conference. Mr Matheson said his vision for Glasgow was to create "a city of excellence", where young people were encouraged to succeed and businesses supported to grow. He said: "Times are hard. But there are things the council can do to help - by maintaining our capital programme, allowing industry leaders to shape our economic strategy, by looking at new ways of funding, improving the planning system, and offering support to help you create jobs and foster entrepreneurship." He added: "Graduates account for 32% of our workforce - well above the UK average - and I want those leaving university to believe they can fulfil their dreams in this city." Glasgow Chamber of Commerce chief executive Stuart Patrick said he warmly welcome the move by the city council. He added: "We know the labour market is especially tough for young new entrants at this time at all skill levels. "We have already seen the positive impact of the two existing Commonwealth funds on youth unemployment in Glasgow. "To include graduates with this new fund recognises the challenges they are also facing in securing jobs, helping us retain the talent that will help attract new investment to the city in the future." Other measures being announced by Mr Matheson include the creation of youth enterprise zones, offering young people mentoring, business start-up advice and training and support as well as micro-finance. The local authority estimates that its Commonwealth Apprenticeship Initiative has helped about 1,800 Glasgow school-leavers into modern apprenticeships since its launch three years ago. The Commonwealth Jobs Fund, launched last year, has set a target of creating 1,000 jobs for unemployed young people. The fund seeks to help those who have been out of work for more than six months.